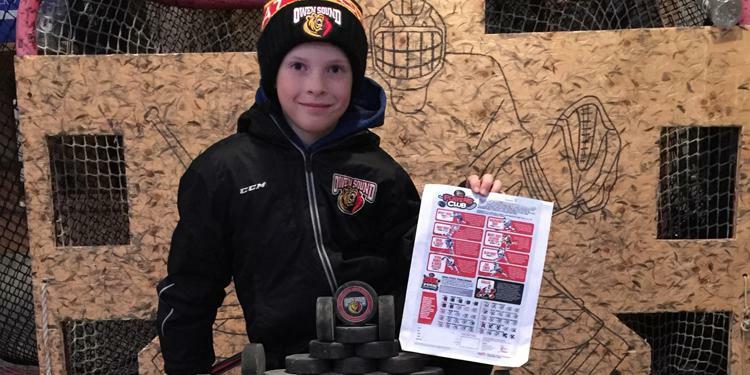 The off-season is a great time to get started on the OMHA Players Club challenges. With no school work to worry about or practices and games to get to, there is time to improve your hockey skills at home on your own pace. Three challenges are offered that each provide drills to improve skills in different areas of the game. 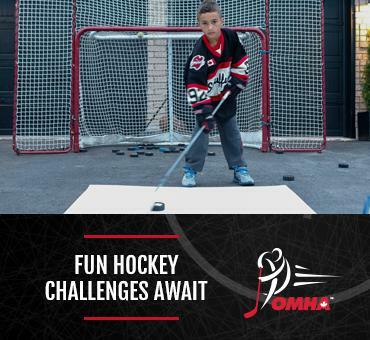 Through creative repetition, players can use the OMHA Players Club challenges to work on their puck-handling, shooting and agility in the fun drills provided. Find a dedicated area in the driveway or basement or another open space that gives you enough room to move around and shoot pucks. A flat surface is important for puck handling and for safe movement. Remove any potential hazards or fragile items for safety. Make sure whatever space you are using won’t leave any unwanted markings on the ground or walls from a puck or stick. One of the great things about the Players Club is that it doesn’t require much extra equipment aside from a stick, puck and net. Many household items can also serve as markings or obstacles that are needed for some of the drills like pylons. Try to find a consistent time in your day that will be dedicated to completing the challenge. The daily requirements are clear on each tracking sheet, which have instructions on submitting it to win a prize. Determine how long each daily drill takes to complete and you will know how to best fit it into your schedule. Players shouldn’t rush through the challenges – they should be done with meaningful action. Don’t just do each day’s requirements to get it over with. Look at exactly what is required from each day’s drill. Make sure that you are doing each challenge correctly by reading the instructions on the tracking sheet. Mastering the technique will help improve your skills and make the time spent on the challenges worth it.